All Locations and Content items are visible by default. 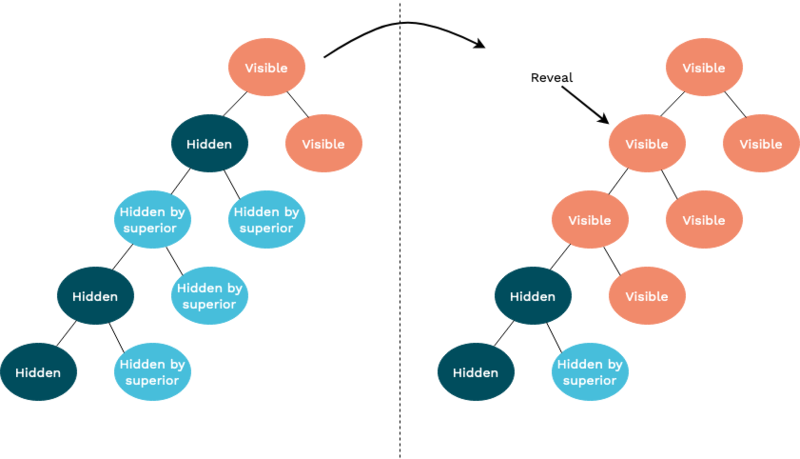 If a Location is made invisible manually, its status is set to Hidden. All Locations under it will change status to Hidden by superior. 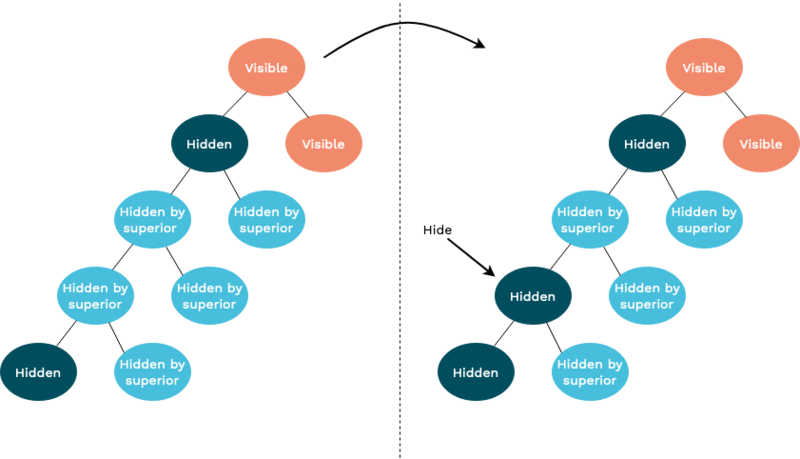 A Content item is Hidden by superior only in Locations in which it has a parent Location with the Hidden status. In the following example, the Content item 1 is Hidden by superior in the Location A while still visible in the Location B. 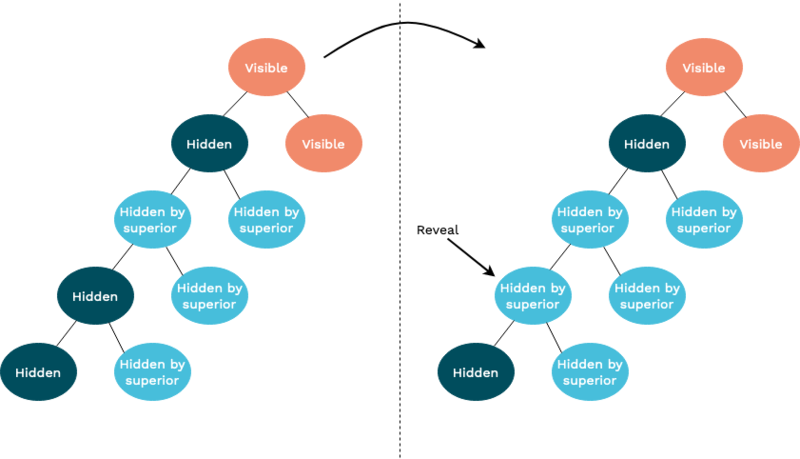 From the visitor's perspective a Location behaves the same whether its status is Hidden or Hidden by superior – it will be unavailable on the front page. 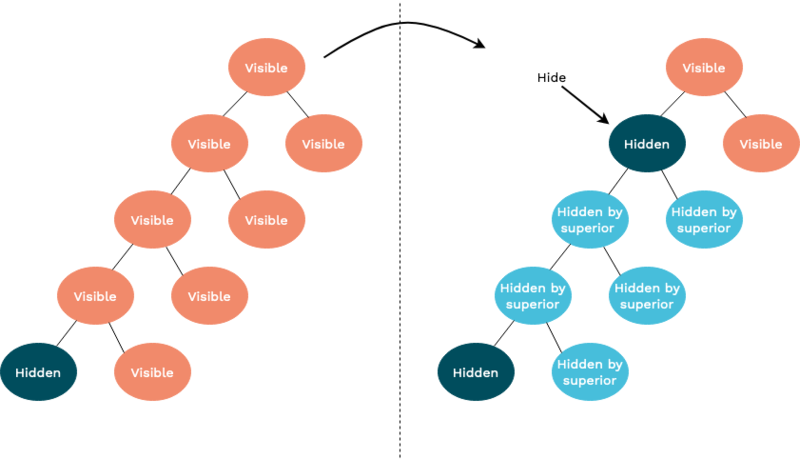 The difference is that a Location Hidden by superior cannot be revealed separately from their parent(s). It will only become visible once all of its parent Locations are made visible again.